In this tour you will visit the Royal Monastery of El Escorial, an architectural ensemble declared a World Heritage Site, and the Valley of the Fallen, a basilica that stands out for its gigantic size. You will start our visit at El Escorial, a symbol of the Spanish power in the XVI century that commemorates the battle of St. Quentin. It is also a mausoleum for Charles V. Due to the symmetry and balance of its construction, according to the humanist Renaissance style, for years it had been considered the eighth wonder of the world. The visit includes the Habsburg Palace, the Kings and Princes Mausoleum, the Chapter House and the Basilica. 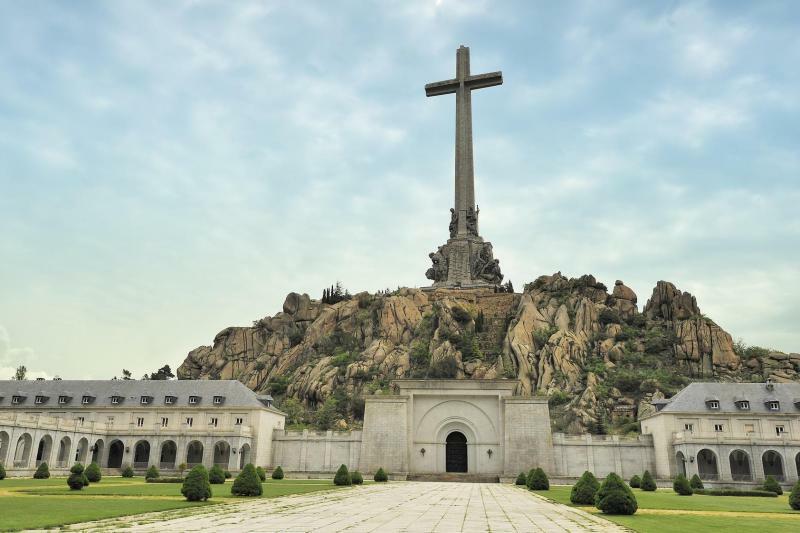 Located 9 km away from El Escorial, we will visit the of the Valley of the Fallen. It was built between 1940 and 1959 to honor the fallen during the Spanish Civil War.